Garry’s MN has been very nicely refinished. 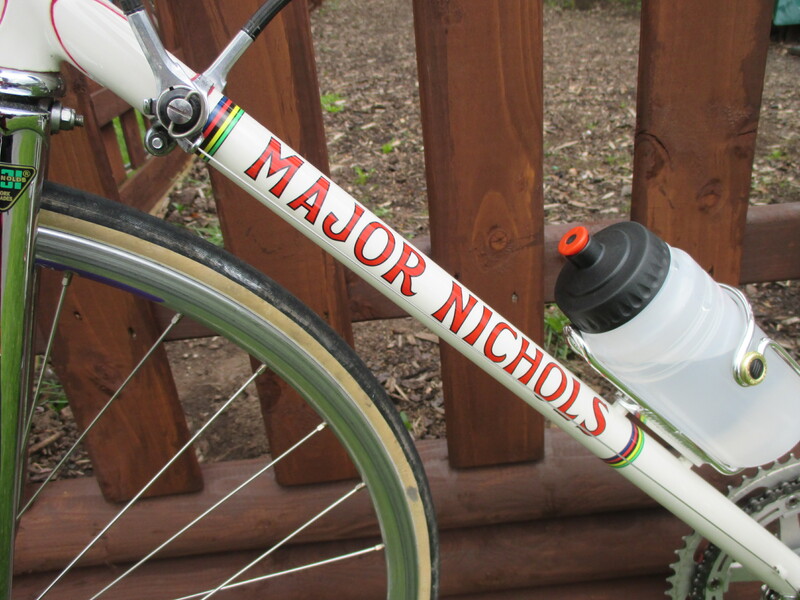 One Major’s early Smethwick examples, a custom build with chrome forks and half rear stays to race and club ride. 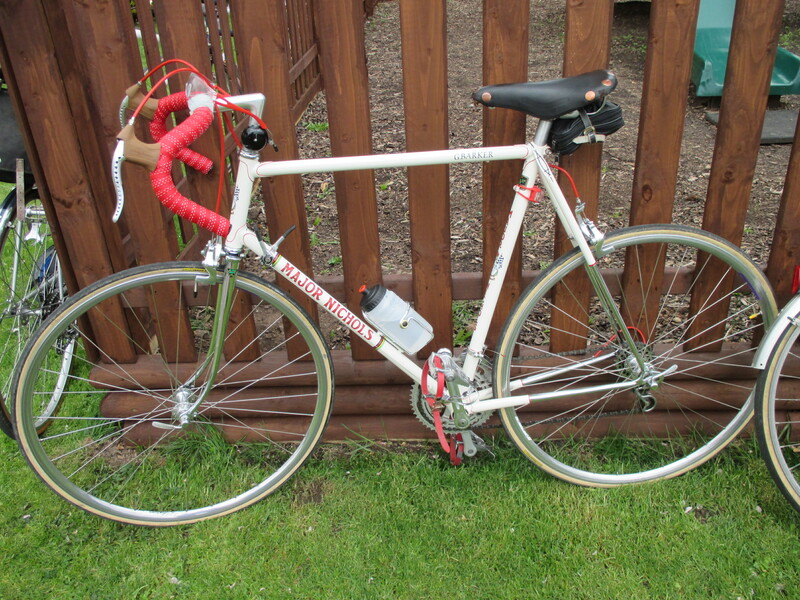 Very handsome and tastefully brought more up to date including Shimano 600 AX rollercam brakes. We will add an offside picture when we can get one and update kit at the same time. The lugs are probably Prugnat long spearpoints with a cutout. The fork crown is unusual and is either a local special casting or a Vagner DL modified with the reduction of the outer edge and side to produce a more refined shape. 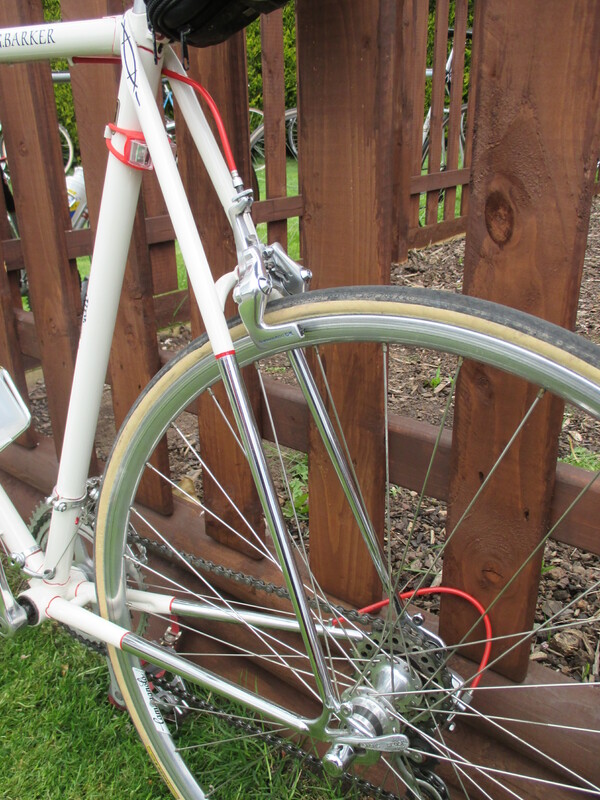 The brakestay bridge is curved and reinforced and the chainstay bridge straight and close to the BB. 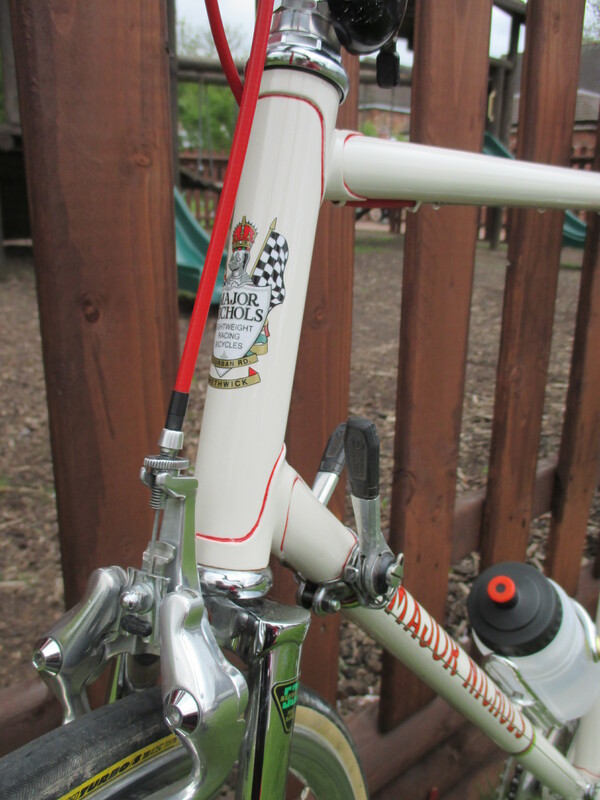 The full wrapover seatstays have full panels and a decent stab at the double fishtail motif has been made by the refinisher. 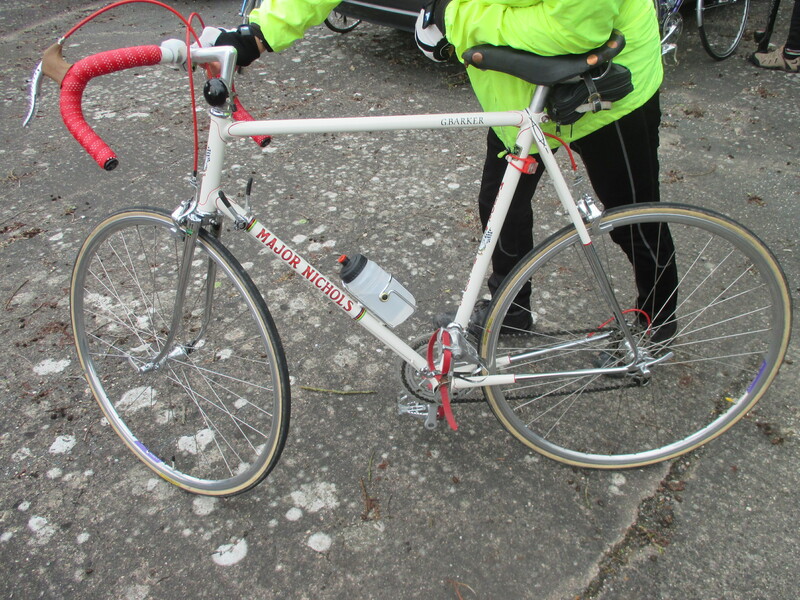 Braze ons include front and rear dropout mudguard eyes, BB derailleur cable guide and stop and brake cable guides and stops on TT at 4 o’clock.